Florida Election Law, is a blog devoted to Florida election law issues, cases, legislation, and news. 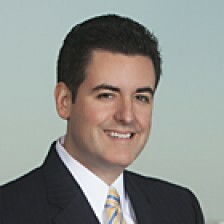 I’m Ken Tinkler, an attorney board-certified in City, County and Local Government Law by the The Florida Bar. I’m a Shareholder with the law firm Carlton Fields in Tampa, Florida. My detailed bio is on Carlton Fields’ website here. You can e-mail me at info@floridaelectionlaw.com, but know that email sent to Florida Election Law will not, under any circumstances, create an attorney-client relationship. Having worked on election law issues since 2000, I’ve developed a personal and professional interest in this area of law. This site is not meant to be partisan or to take a political side of any issue, but to give practitioners of all political stripes a view of what is occurring in Florida. It also allows me to create a snapshot of election law history as these issues evolve. Florida Election Law is a personal site, designed and maintained by me for my enjoyment and yours. All discussion of legal issues on this site is general commentary only and is not legal advice. Finally, let me emphasize: This is a personal web site offering commentary, not legal advice. All statements published on or referenced by this site should be attributed solely to the individual who originally made them and not to anyone else. Thank you to Matt Conigliaro, a fellow CF attorney and former blogger at Abstract Appeal for his advice on setting up this site.